Over the past several weeks the investigative journalists of amaBhungane have, through their reports on leaked Gupta emails, provided chaper and verse on how state and parastatal institutions have been plundered over the past several years. Equally shocking is the fact that despite the reams and reams of prima facie evidence of criminality there have been no police searches to collect further evidence, no arrests, and no prosecutions. The one institution that once did have the capacity and independence to investigate and prosecute this kind of high-level criminality was the Directorate of Special Operations (“the Scorpions”). This unit was however disbanded in 2008 – following a resolution adopted at the ANC’s Polokwane conference in December 2007 – by legislation first introduced while Thabo Mbeki was still state president and finally adopted after Kgalema Motlanthe had replaced him. This was before Jacob Zuma was elected to office in 2009. At the end is a list of all the MPs who voted for – and against – the dismantling of the Scorpions. On 11 February this year, the then Minister chose to announce that he would be disbanding the Scorpions – something he had chosen not to tell the hundreds of staff of that unit. So, they heard on the news that their jobs were to be terminated. Terminated they will be, Minister, as they have to apply to see if the ANC thinks they are good enough to belong to the SAPS. These are advocates, forensic auditors, specialist investigators – none of whom ever wished to be in the police service. After hearing the sneering tones used at the SAPS head office in Pretoria when the Scorpions were referred there, ably encouraged by the hon Maggie Sotyu, well, they just won’t go! 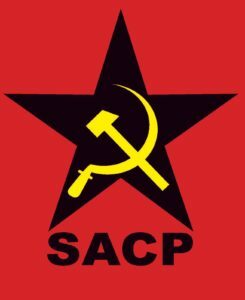 The DSO – the Scorpions – is but one of the units under the auspices of the NPA, an authority that is instructed by our Constitution to exercise that authority without fear, favour or prejudice. Yet, how have we, as a country, thanked the highly qualified DSO men and women – people who have given nine years of their lives dedicating themselves to tackling some of the most complex criminal investigations imaginable, taking them to court and winning 94% of them – for this selfless dedication to ensuring that right wins over might? Members of the ANC, as they began their election campaign during provincial hearings, came out en masse with the most preposterous, self-serving statements imaginable. I noted them carefully: “Our women are still being raped” – so, scrap the Scorpions; “our homes are still being broken into” – so, scrap the Scorpions; “there is child abuse and trouble at the taxi ranks” – so, scrap the Scorpions. I also noted there was never a call to scrap the SAPS, which, of course, should have been dealing with these matters. 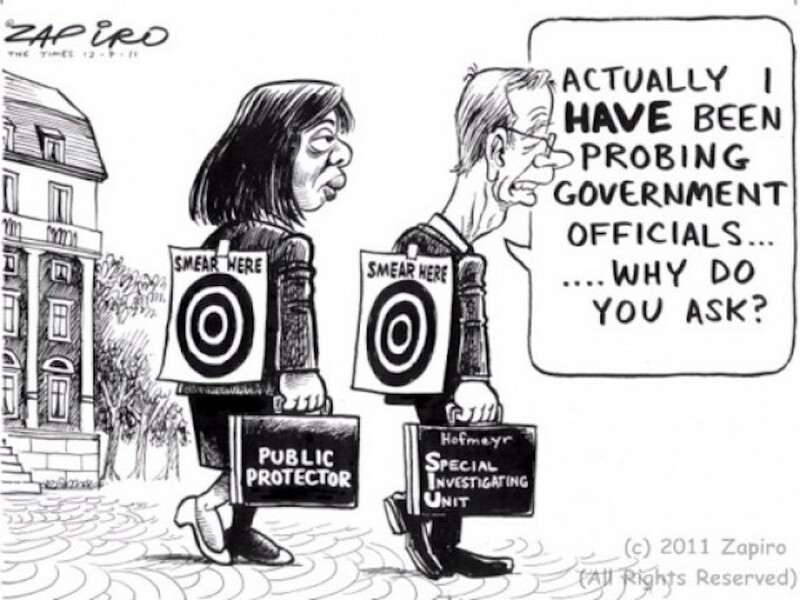 Theatrical tones of disgust were used in describing the troika principle, with a prosecutor leading investigators – a system that resulted in successes in court despite the fact that exactly the same system is used, but a lot less effectively, by the SAPS. One ANC branch head even claimed that Scotland Yard ran the Scorpions! 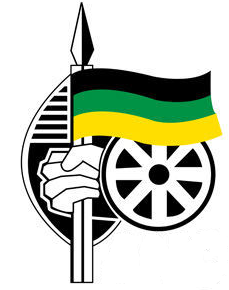 The ANC still perpetuates the “single police force” determination argument – that’s you, Mr Minister, attempting, by repetition, to overrule both the Khampepe Commission and the Constitutional Court dicta – Minister of Defence vs Mpontshane 2002(1)SA 1 – which absolutely allow for different divisions to be established to protect this country. They made the Brett Kebble murder arrest, confiscated drugs to the value of R600 million, broke the platinum and abalone smuggler syndicates and ran Travelgate – many of you are intimately familiar with this. Yes, they jailed Schabir Shaik and Tony Yengeni, and, yes, they are the ones who investigated the Selebis, Agliottis and Zumas and the extraordinary Fidentia case. 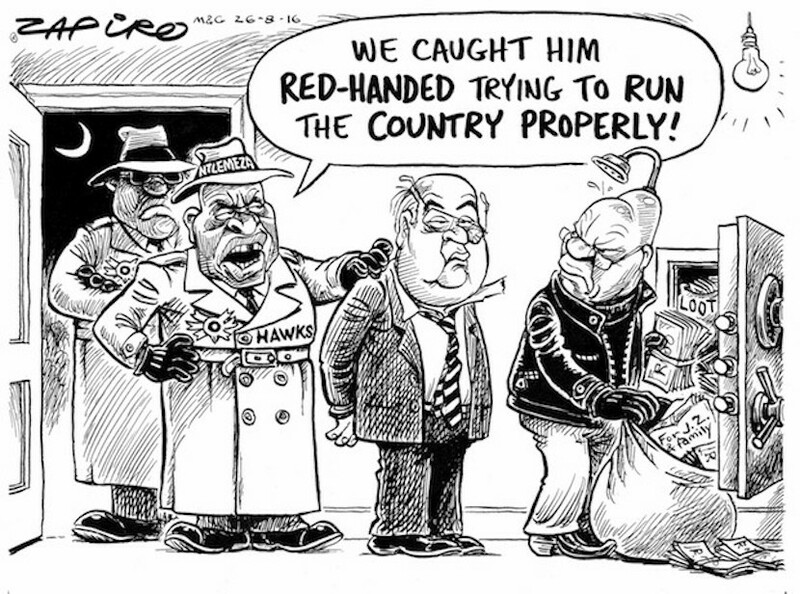 One of Zapiro’s classics. 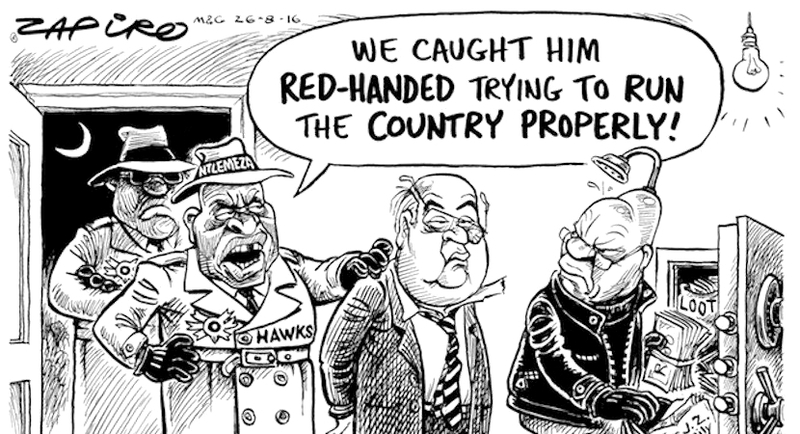 More can be found www.zapiro.com. Now, given these successes, the question has to be asked – before unleashing their dogs of war – as to why did the ANC not sit with them and ask questions? Mr Y I CARRIM: Madam Deputy Speaker, comrades, friends and Deputy President – congratulations on your appointment – beyond all the bluster and political posturing, let us be clear. The vast majority of us in the ANC are not triumphalist. We are not gloating about the dissolution of the Scorpions. This is in fact a sad occasion, for what was meant to be an elite, efficient and powerful organised crime-fighting unit – the pride of the nation – has become a source of division in the nation. 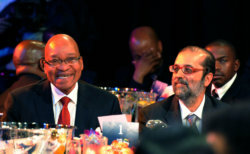 President Jacob Zuma with Yunus Carrim. Secondly, there is no obligation in any democracy anywhere in the world for a commission report – even by a judge – to be accepted necessarily by the executive or by Parliament. Democracies all over the world allow for that. 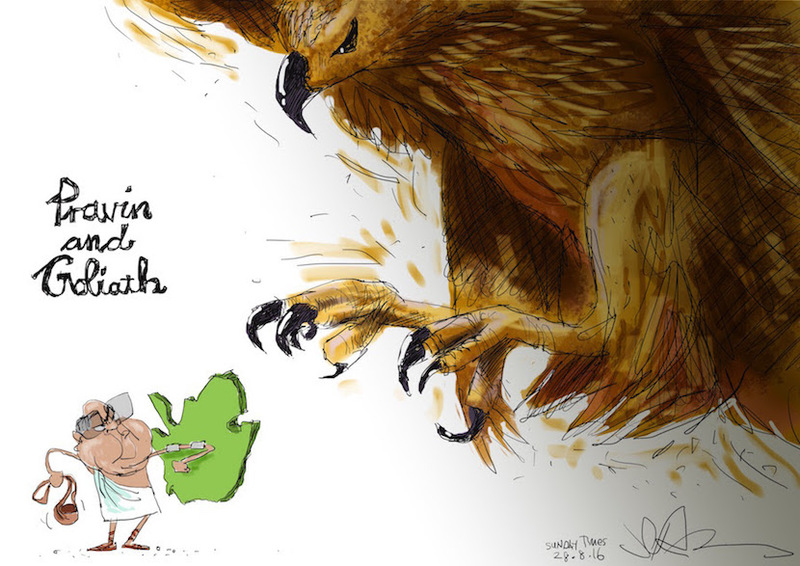 Hawks vs. Pravin Gordhan. More cartoons available at jerm.co.za. So, ask him for the tape. We said they were of limited significance in processing a Bill because they blindly said “don’t dissolve the Scorpions”. None of those people read the Bill. What particular clause of the Bill could we actually draw on from their petition – a generic petition – to process the Bill? So, in this sense we said the signatures were of limited value, and we still stand by that. Let Judge Pius Langa and the Constitutional Court hear this, and I repeat: They were of limited value. But you see, at the end of the day it does not matter what Maggie Sotyu and I said. What matters is what happened. We are bound by the same Constitution that binds Judge Pius Langa, the Ministers and the President of this country. What did we do? We had 7 200 people participating in hearings, and we had at least 190 hours in the committee – I will not cover that ground. May I also add that it is astonishing that the DA, this market fundamentalist society, is pleading for the cause of the working class. 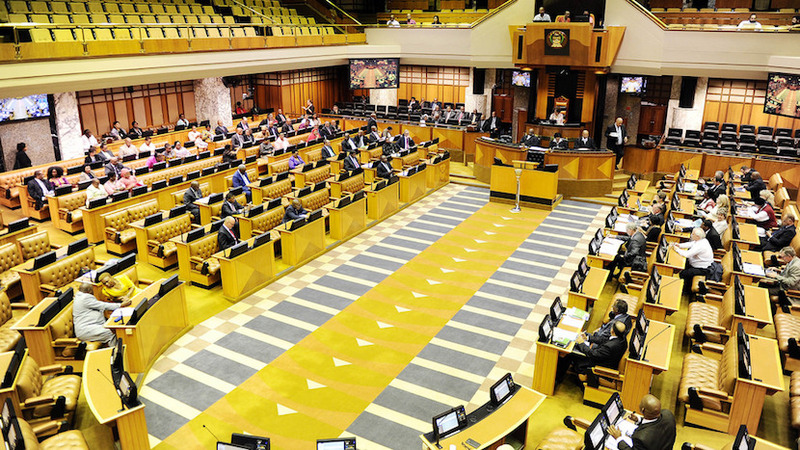 Did they in fact support – I would like to know – the Labour Relations Act when it was put to this House? Since when are they supporters of the working class? The Minister of Safety and Security said this very afternoon that he would like as many as possible of these people who have the skills they have to come into the SAPS. He went on record, may I add, in the newspapers – Sunday Times and I think City Press – shortly after he was appointed to say that he would focus on crime in every form, not least of which would be organised crime and corruption. 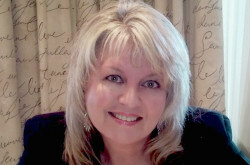 Dianne Kohler-Barnard says … [Interjections.] I won’t respond because I don’t have the time. May I also say, before I am forced to end … I wish I had more time, Madam Deputy Speaker, because really there are so many misrepresentations here that I have another half an hour of notes to use and draw on. Finally, let me say that we must be very clear. We are simply not going to allow our wonderful country to be handed over to organised criminals – absolutely not. [Applause.] You can bet your life on it, it is not going to happen. Do you know why? Mainly, you have to trust us. The main victims of organised crime, corruption and crime in general are the working class and the poor. For once I am putting on my Marxist hat – I am a Marxist, unapologetically. I have been one since I was 16 years old. [Interjections.] I cannot allow organised crime. Who are the main beneficiaries of crime? It is mainly the bourgeoisie and the capitalist class. Of course they have their underlings. So, I cannot agree to this. The SPEAKER: Hon members, I don’t think I need to hear those kinds of voices that are saying “what about the amendments”. Let me refer the House to its own Rules – Rule 254(3). This Rule is very clear about when we entertain amendments. Nobody said we were going to stop that. AYES – 252: Abram, S; Ainslie, A R; Anthony, T G; Arendse, J D; Asiya, S E; Balfour, B M N; Baloyi, M R; Bapela, K O; Beukman, F; Bhengu, F; Bhengu, P; Bloem, D V; Bogopane-Zulu, H I; Bonhomme, T J; Booi, M S; Botha, N G W; Burgess, C V; Cachalia, I M; Carrim, Y I; Cele, M A; Chalmers, J; Chauke, H P; Chikunga, L S; Chohan, F I; Combrinck, J J; Cronin, J P; Cwele, S C; Dambuza, B N; Daniels, P; Davies, R H; De Lange, J H; Diale, L N; Dikgacwi, M M; Dithebe, S L; Dlali, D M; Dlamini-Zuma, N C; Doidge, G Q M; Du Toit, D C; Fazzie, M H; Fihla, N B; Frolick, C T; Fubbs, J L; Gabanakgosi, P S; Gaum, A H; Gcwabaza, N E; Gerber, P A; Gigaba, K M N; Godi, N T; Gogotya, N J; Gololo, C L; Gore, V C; Greyling, C H F; Gumede, D M; Gumede, M M; Hanekom, D A; Hangana, N E; Hendricks, L B; Hendrickse, P A C; Hogan, B A; Holomisa, S P; Huang, S; Jacobus, L; Jeffery, J H; Johnson, C B; Johnson, M; Kasienyane, O R; Kekana, C D; Khauoe, M K; Khoarai, L P; Khumalo, K K; Khumalo, K M; Khunou, N P; Komphela, B M; Koornhof, G W; Kota, Z A; Kotwal, Z; Landers, L T; Lekgetho, G; Lishivha, T E; Louw, J T; Louw, S K; Ludwabe, C I; Luthuli, A N; Maake, J J; Mabandla, B S; Mabe, L L; Mabena, D C; Mabudafhasi, T R; Madasa, Z L; Madella, A F; Madlala-Routledge, N C; Maduma, L D; Madumise, M M; Magau, K R; Magubane, N E; Magwanishe, G B; Mahlawe, N M; Mahomed, F; Mahote, S; Maine, M S; Maja, S J; Makasi, X C; Makgate, M W; Malahlela, M J; Maloney, L; Maluleka, H P; Maluleke, D K; Manana, M N S; Manuel, T A; Mapisa-Nqakula, N N; Martins, B A D; Maserumule, F T; Mashangoane, P R; Mashiane, L M; Mashigo, R J; Mashile, B L; Masutha, T M; Mathebe, P M; Mathibela, N F; Matsemela, M L; Matsepe-Casaburi, I F; Matsomela, M J J; Maunye, M M; Mayatula, S M; Mbete, B; Mbili, M E; Mdaka, N M; Mdladlana, M M S; Mgabadeli, H C; Mkhize, Z S; Mkongi, B M; Mlangeni, A; Mnguni, B A; Mnyandu, B J; Moatshe, M S; Modisenyane, L J; Mofokeng, T R; Mogale, O M; Mogase, I D; Mohlaloga, M R; Mokoena, A D; Mokoto, N R; Molefe, C T; Moloto, K A; Monareng, O E; Montsitsi, S D; Moonsamy, K; Morkel, C M; Morobi, D M; Morutoa, M R; Morwamoche, K W; Mosala, B G; Moss, L N; Moss, M I; Motubatse-Hounkpatin, S D; Mpahlwa, M B; Mthembu, B; Mthethwa, E N; Mtshali, E; Mzondeki, M J G; Nash, J H; Ndlazi, Z A; Ndzanga, R A; Nel, A C; Nene, M J; Nene, N M; Newhoudt-Druchen, W S; Ngaleka, E; Ngcengwane, N D; Ngcobo, E N N; Ngcobo, N W; Ngculu, L V J; Ngele, N J; Ngwenya, M L; Ngwenya, W; Nhlengethwa, D G; Njikelana, S J; Njobe, M A A; Nkuna, C; Nogumla, R Z; Nqakula, C; Ntuli, B M; Ntuli, M M; Ntuli, R S; Ntuli, S B; Nwamitwa-Shilubana, T L P; Nxumalo, M D; Nxumalo, S N; Nyambi, A J; Nyembe, K K M; Nzimande, L P M; Olifant, D A A; Oliphant, G G; Oosthuizen, G C; Padayachie, R L; Pandor, G N M; Pieterse, R D; Radebe, B A; Ramakaba-Lesiea, M M; Ramgobin, M; Ramodibe, D M; Ramotsamai, C P M; Rasmeni, S M; Reid, L R R; Rwexana, S P; Schippers, J; Schneemann, G D; Schoeman, E A; Seadimo, M D; Sefularo, M; Sekgobela, P S; Selau, J G; September, C C; Shabangu, S; Shiceka, S; Sibande, M P; Sibanyoni, J B; Sibhidla, N N; Siboza, S; Sisulu, L N; Sithole, D J; Sizani, S; Skhosana, W M; Smith, V G; Solo, B M; Sonto, M R; Sosibo, J E; Sotyu, M M; Surty, M E; Swanson-Jacobs, J; Thabethe, E; Thomson, B; Tinto, B; Tobias, T V; Tolo, L J; Tsenoli, S L; Tshabalala-Msimang, M E; Tshivhase, T J; Tshwete, P; Turok, B; Twala, N M; Vadi, I; Van den Heever, R P Z; Van der Merwe, S C; Van Schalkwyk, M C J; Van Wyk, A; Vundisa, S S; Wang, Y; Xolo, E T; Yengeni, L E; Zita, L; Zulu, B Z.
NOES – 63: Bekker, H J; Bhengu, M J; Bici, J; Blanché, J P I; Boinamo, G G; Botha, A; Botha, C-S; Camerer, S M; Cupido, H B; Davidson, I O; Delport, J T; Ditshetelo, P H K; Doman, W P; Dreyer, A M; Dudley, C; Ellis, M J; Farrow, S B; George, D T; Greyling, L W; Groenewald, P J; Holomisa, B H; Hoosen, M H; Jenner, I E; Joubert, L K; Julies, I F; Kalyan, S V; Kganyago, N M; King, R J; Kohler-Barnard, D; Labuschagne, L B; Lebenya, P; Lee, T D; Marais, S J F; Masango, S J; Minnie, K J; Morgan, G R; Mpontshane, A M; Nefolovhodwe, P J; Nel, A H; Nkabinde, N C; Opperman, S E; Rabie, P J; Rabinowitz, R; Roopnarain, U; Sayedali-Shah, M R; Seaton, S A; Selfe, J; Semple, J A; Sibuyana, M W; Sigcau, S N; Simmons, S; Singh, N; Smuts, M; Swart, M; Swart, P S; Swathe, M M; Trent, E W; Van der Merwe, J H; Van Der Walt, D; Van Dyk, S M; Waters, M; Weber, H; Zikalala, C N Z.
Click here to sign up to receive Politicsweb’s free daily headline email newsletter.